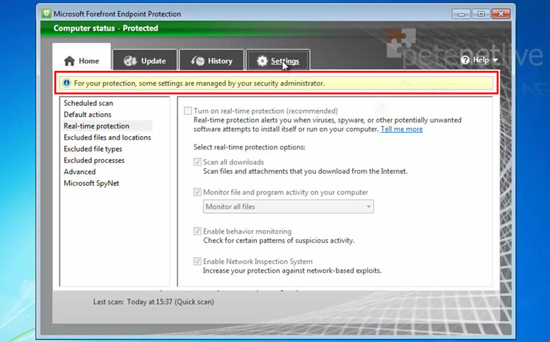 FEP is Microsoft’s offering for antivirus, try to think of it as the corporate version of Security Essentials. Just about everything on the net for managing it seems to be geared to managing it with SCCM. Which is fine if you have SCCM, but what if you don’t? Thankfully you can manage it with group policy, even if information on how to do it is rarer than hens teeth! With a Microsoft CoreCAL you can use the FEP client, so if you already have CoreCALs, then it’s a solution that can save you some cash on your corporate AV strategy. 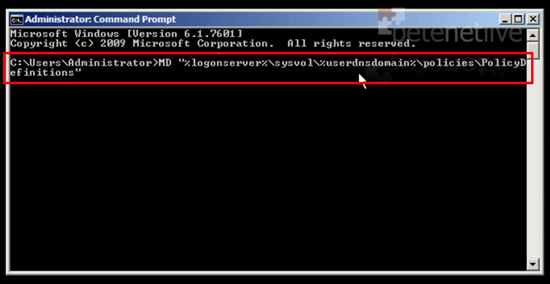 The client software is available in x64 and x86 bit flavours, it is installed from a single executable (FEPInstall.exe). There is no MSI installer (yeah thanks Microsoft!) So if you want to roll it out on mass, you need to either install it using a startup script, include the software in your ‘Master/Golden Image’ and re-image you machines, or tear your hair out trying to work out SCCM. 1. 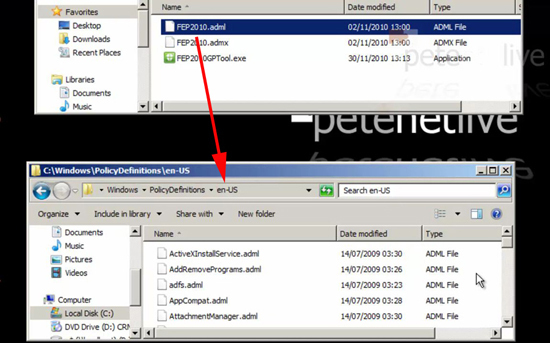 First you need to download the policy definitions, copy the FEP2010.admx file to %Systemroot%PolicyDefinitions. 5. Then either create a new policy, or edit an existing one that’s linked to the COMPUTER objects you want to manage. Here you will find the policy settings you require. 7. When you are controlling settings via GPO this is what you will see on the client machines. 8. 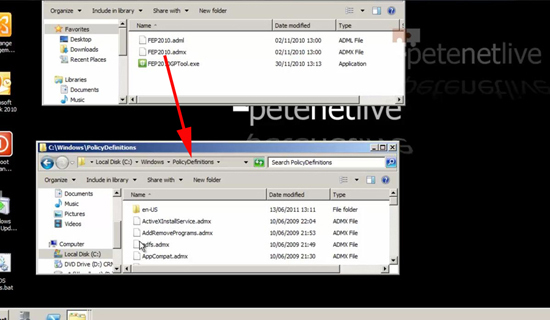 From the files you extracted earlier locate and run the FEP2010GPTool.exe. 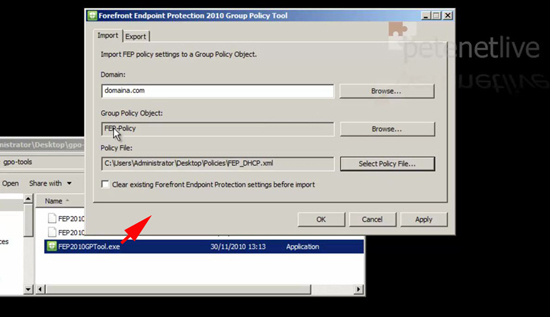 From here you can import and export all the policy settings from a particular group policy. Microsoft have published a set of policy settings which you can download for various server roles. 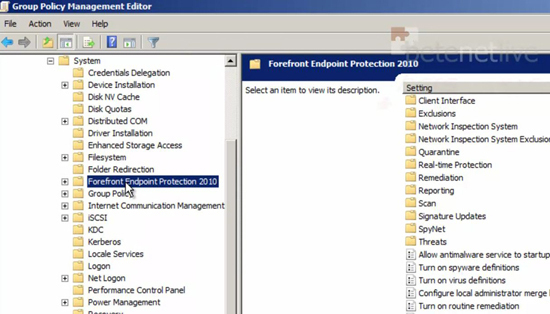 Note: By default each policy you import will merge with the existing settings in the GPO, unless you tick the “clear the existing Forefront Endpoint Protection settings before import” option. 9. Windows uses it’s existing ‘Windows updates’ path for getting updates. 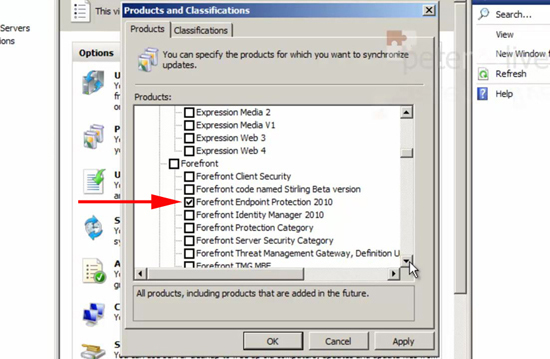 If you have a WSUS server you will need to enable the updates in the ‘Products and Classifications’ section. 10. 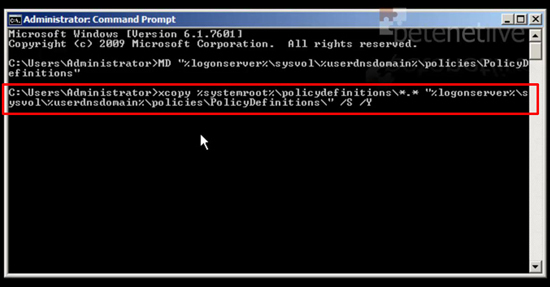 If you DONT have WSUS but you are behind a proxy, you can manage FEP proxy settings from the following policy.